Our world has no shortage of issues that seem to create massive polarization between people. Whether it is a political, social, economic, or family issue, we see a growing trend to move quickly to “our corner” of the ring. As we continue on our journey to build and strengthen our character, it is an important time to reinforce how listening to one another is the first step towards empathy and empathy is at the heart of building constructive dialogue, improving relationships, and comforting the hurting. There are plenty of “experts” who would described the importance of listening to others as a key ingredient to understand another person and through understanding, we can begin to build better relationships. In addition, I am sure we have all experienced the occasional “aha” moments when we finally shut-up enough to listen and gained some real insight into understanding another person and why they have a certain point of view or why they took a certain action. At several major academic centers there has been some exciting new research that demonstrates the power of our brains to relate to one another when we truly listen. Researchers have gone beyond traditional techniques of simply mapping activity in particular regions of the brain. This new research uses complex mathematical analyses to map patterns of activity in the brain, but not in isolation. The research has added the dimension of measuring the relationship between the pattern in one person’s brain and the pattern in another’s. Researchers are recording the brain activity of one person’s brain while they told a story and another person’s brain who was listening. The two brain patterns consistently show a remarkable degree of correlation. The storyteller literally has gotten in to the listener’s brain and altered it not only on the logic-reasoning parts of the brain, but most importantly, on the emotional part of the brain. By focusing on listening, the listener has been able to match the brain of the storyteller. The listener felt the emotions of the storyteller. This new research demonstrates over and over that when you listen to and understand another person, you experience the exact same brain pattern as that person. It is as if you have experienced their experience. The researchers demonstrated that our brains know little difference between our own experience and one we shared by listening to another. Our brains are impacted the same way. Listening to another person can provide real insight into another person’s journey and help us understand. (1) Listening is the most simple and powerful way to demonstrate to someone that they matter. Our decision to listen meets a very important psychological need of all of us – to know we matter. Listening does not take a Ph.D. in psychology, an extremely high IQ, or some position in the corner office. All it takes is a simple decision to be silent and give someone our attention. (2) As life today grows more intense and complex, before we instinctively move to “our side” with “our brilliant opinion,” we should first choose to listen. As the research showed, when we listen, we actually feel the experience of the other person. This is a relevant and practical choice for our home, our workplace, and our community at large. As with many things, the greatest and most challenging area is listening to those that are closest to us. We mistakenly think we know them well enough or we have allowed the obstacles of anger, frustration, and apathy to prevent us from listening to the other side of the story…and there is always another side to the story. (3) For most people, it is our painful experiences that have taught us the most and form the basis for many of the choices we make. However, we typically keep hidden those painful experiences from others. Being a good listener can help build a trusting, non-judgmental, and shame-free atmosphere which can eventually open a door to the sharing of those painful experiences to assist in a greater understanding of one another. Understanding is the foundation for health in relationships. Listening, with the intent to understand, is a well-documented approach to improve relationships. 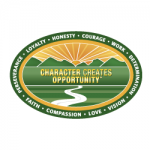 As we make a decision to listen, we will build and strengthen our character and Character Creates Opportunity® to build healthy and meaningful relationships. For many of us, this time of year brings a mixed set of emotions. The sunset of summer is upon us, fall sports are getting into full swing, and the anxiousness of a new academic year begins. In addition, leaders across a variety of organizations are working to fine tune plans to execute on a strong close to the year. At this time of year, I am sure we can all find ourselves in some position to positively influence those around us as they address their unique situation. The topic for today is to provide some insight into how we can be most effective in providing encouragement to those around us as they face their unique situation during this time of year. There has been a fair amount of research done on the importance of the principle of encouragement. Most of the research has been done on how to provide encouragement and praise for positive behaviors and performance. In addition, if we look into our own experience, we probably find ourselves relatively comfortable in providing encouragement to others when they are doing well. When a child does not perform well in school or does not deliver on a particular activity. When an employee fails to meet expectations. When someone close to us simply misses the mark. We all know that there is a critical moment in time when feedback is delivered that heavily influences the next steps for an individual. When we do it well, chances are the individual will more forward to raise his/her performance. When we do it poorly, we create a greater problem by undermining an individual’s confidence and self-esteem. A team of research psychologists from several leading institutions collaborated on some work to determine effective techniques to provide feedback that would encourage individuals to raise their performance. Without going into all the study details (if you wish, here is the study), they studied middle school teachers and the process to provide feedback on student performance. What they learned can help all of us in our roles as parents, teachers, coaches, and business leaders to leverage the principle of encouragement in times when performance falls short. Just this one simple statement, delivered in that critical moment in time when constructive feedback was communicated, made all the difference in encouraging an individual to do better. There are some key insights from this research and this “magical” statement that we can apply to the various roles we play to provide encouragement to those around us to improve performance and reach their full potential. (1) The statement helps to meet an important need in all of us; the need to know we belong. Recipients felt the teacher cared about them and in turn, they felt a sense of belonging during this important point of receiving critical feedback on their performance. (2) The statement communicates clarity around expectations; we have high standards. The vast majority of us, when provided clear direction, no matter how difficult the task, will deliver. (3) The statement communicates a strong belief in the individual; I know you can do it. Communicating a “validation” to someone else that they “have what it takes” to deliver is a tremendous encouragement to keep any one of us moving forward in our journey. A critically important role we can all play is in helping others reach their full potential. As we work hard to more effective use the principle of encouragement, we build and strengthen our character and Character Creates Opportunity® to help others improve their performance and reach their hopes and dreams. David Esposito contributed to an article on Stephen R. Covey’s The 7 Habits of Highly Effective People recently published on Entrepreneur.com. Many of the principles in the book are similar to those he references in his daily life, therefore they “resonated with him as he tried to balance his family life with his career.” His sentiments are shared by many around the world who own one of the book’s 25 million copies sold since its publishing in 1989. Read more about David’s thoughts in this article: 7 Reasons ‘7 Habits of Highly Effective People’ Lives on 25 Years Later. “Yes – I can do this!” We have all been there at some point. We start out with a great deal of energy and excitement as we head into our journey towards that next big objective. Many times we encounter some catalyst for change brought on by a meaningful event in our lives: A significant change in our personal life, the ideas of a great speaker, the insightful guidance from a friend or family member, or some helpful concept in a book. Some situation triggered our response to get motivated to take on that next challenge and go after another well intentioned goal. We take off from that mountain top “high” with a great deal of enthusiasm. After traveling a little ways into our journey, we eventually find ourselves off the mountain top “high” and into the valley. The valley we encounter towards our objective is difficult. The ability to clearly see our goal gets more challenging and somehow the journey does not seem as exciting as when we set off from the mountain top. On a much lighter note, but still a meaningful, teaching moment about the valleys of life, is the current state of our family garden (it is not in good shape as we come out of summer). The “family” garden is probably one of the most relevant and practical examples of how things can come off the rails along our journey toward our goals. A very simple, natural law, if adhered to, can bring about an amazingly abundant harvest: Plan in the winter, prepare the ground and plant in the spring, water and cultivate all summer, and then in the fall, an abundant harvest. 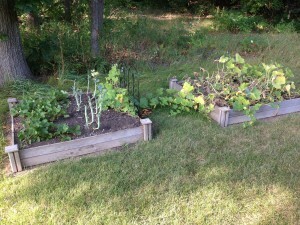 The journey towards our goals in life are no different than the simple steps to a successful family garden. We could all come up with a good laundry list of excuses when we are struggling in the valley and some of them are legitimate. Storms do come in life and destroy much of what we tried to build. Tragedy does strike. People do fail to keep up their end of the contract. However, for the vast majority of our journey, the consistent application of these timeless, universal, and self-evident principles will rarely cause us to fall short of crossing through the valley and reaching the next mountain top in our journey. (1) Set priorities. We cannot do everything. Be very selective and declare a clear “yes” or a clear “no” so our energy can be channeled into a few really important goals. (2) Plan and prepare. “Winging it” or “going with the flow” is not an effective strategy. We need to be intentional about outlining the direction we are heading and the habits we need to keep heading in that direction. Our habits will help keep us on our intended direction in the darkness of the valley. (3) Cultivate/Execute the plan. This should be the mechanical process of day in, day out executing our intended habits. When our habits (thoughts, decisions, and actions) are guided by principles like perseverance, commitment, loyalty, and respect, we build and strengthen our character and Character Creates Opportunity® to move through the valleys and achieve that next milestone in our journey. We will have our share of valley moments throughout life. However, as we remain consistent in adhering to timeless principles, we will move forward along our most effective path on the journey of life. A few weeks ago we wrote about the importance of making decisions (July 17th blog on Decisiveness). I wanted to expand on the topic with today’s blog and raise a common challenge around “the other choice” in the decision making process. In making these difficult decisions, an important issue to raise is “the other choice.” The “what could have been” debate if we had taken the other path like in the Robert Frost poem, The Road Not Taken. Psychologists would say much of the mental strain they see today is brought on by our tendency to struggle with the “what could have been” debate in our lives. As these were big decisions in our lives, there is most likely a fair amount of emotion and perhaps pain associated with the choices we have made in the past. (1) Reality: We will never know the full outcome of “the other choice.” We have a tendency to overemphasize the potential positives, but disaster also strikes on The Road Not Taken. This is one of the great mysteries in life, we only know for sure what we have in front of us today. (2) Understanding: Our most productive use of “the other choice” should be on understanding our thought process around the decisions we made at the time – What drove our decision? We will become more self-aware of our weak points and our strong points that will help us in many aspects of our life. (3) Growth: We can only press the forward button in life. There is no pause and there is no rewind. Our most effective choice on dealing with past decisions is to grow from them. We can apply those gains to be more effective in our present set of choices and perhaps share our learnings with those closest to us. As we work to reduce the strain associated with the “what could have been” debate and move towards personal growth based on learnings from our past decisions, we will build and strengthen our character and Character Creates Opportunity® for us to reach our full potential.